Fan favourite and two-weight, three-time world champion, Jhonny Gonzalez, returns to the ring on September 24th. The 34 year old super-Featherweight has always been a hit with many who follow the sport, seemingly having power and vulnerability in equal measure. However, it is the former quality that will likely be highlighted in his next fight, as his opponent, Hirotsugu Yamamoto, has been stopped six times on the way to a 19(3)-12(6)-2 record. Gonzalez will be looking to improve on his 61(51)-10(4)-0 ledger, and his class should allow him to do this comfortably when the fight comes around, despite the Japanese foe being naturally a bigger man. The fight will take place in Gonzalez’s home country, Mexico, specifically in the Oasis Hotel Complex, Cancun, Quintana Roo. This venue most recently featured a card headed by Jessica Chavez, who successfully defended her WBC world flyweight title in July of this year. 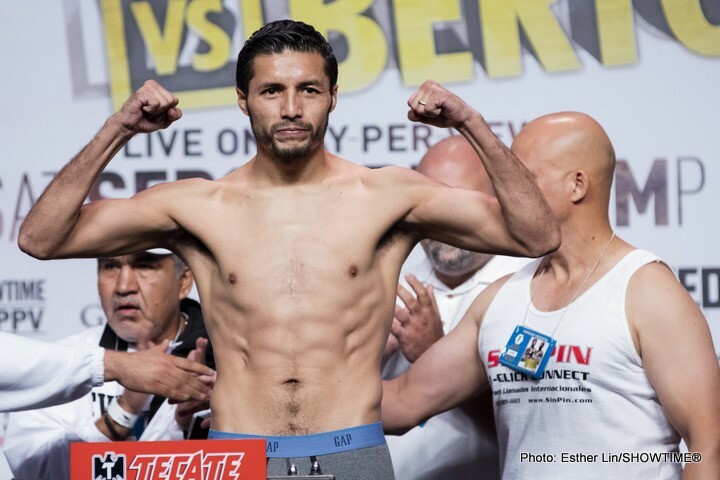 So far, other bouts registered on the card include prospect Diego Cruz taking a step up against former world title challenger Ivan Cano, and a female match-up between Lourdes Juarez and Yesenia Gomez. If Jhonny can come through this fight emphatically, as expected, he can inch closer to a shot at a title in a third weight class, but with Gonzalez there is always a worry he can slip up, making any fight of his worth a watch. For anyone wishing to do just that, the bout is set to be televised on Mexico Televisa, according to Boxrec.com.